You do not need the services of an attorney to file a corporation or LLC in the state of Delaware. Attorneys come to us for Registered Agent services. Acme Filings Corp. is well established, professional and reliable. offering our clientele a Turn Key Solution when starting their new business. We are industry leaders when it comes to incorporation. From start to finish there is always someone in the office ready to guide you through the hassle of setting up shop. 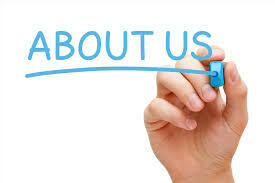 From initial incorporation to marketing and advertising your service or product we are there for you. For those of you requiring "privacy" we can provide you with a Professional Director/Nominee Services. Through an exclusive affiliation with an independent company, we are able to provide the services of nominee corporate officers and directors for our clients when setting up the new corporation or limited liability company. The Professional Director allows you to maintain your privacy when setting up the new corporation LLC. As long as you have legitimate reasons for wanting to keep the privacy of the corporation in line with the laws and statutes of the state of Delaware, we can accommodate your request. Our annual registered agent fee of $90.00 per year, is billed on a calendar basis in January of each year. It includes forwarding of First Class mail. There are no hidden mail charges. Our International clients, however, are subject to an Air Mail Postage deposit to cover the cost of forwarding the mail outside US borders. PRIVACY STATEMENT - We value your privacy. Our clients information will not be shared with any third party unless compelled to do so by proper judicial or governmental authorities. It is our obligation as your registered agent in the state of Delaware to accept summons and mail on your behalf. This information is confidential and you will immediately be notified should such a situation arise. However, every Delaware legal entity is required to provide its registered agent with the name of a natural person who acts as the communications contact for the entity. Federal and state laws provide legal mechanisms, recourse and due process to enable officers, directors, shareholders and law enforcement to inspect the books and records of an entity Delaware registered agents are required to retain the above communications contact information. We look forward to working with you and wish you the best of luck in your business endeavors.